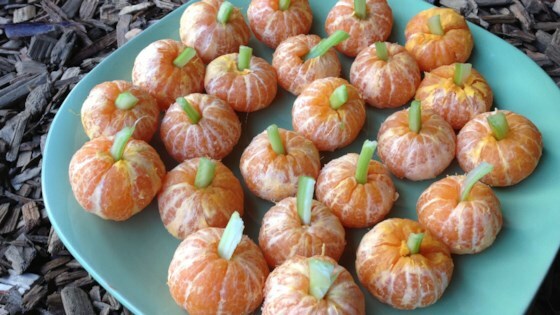 "If you are looking for a fun, healthy Halloween snack for your kids, try these mandarin pumpkins. I've brought them to my kids' kindergarten Halloween party as a treat and everyone thought they were super cute." Cut celery into small pieces and stick a piece of celery into the middle of each peeled mandarin orange.